1. Sit down and work out a 3 day menu of meals you like – that fit within your calories for your weight loss goal. That’s 3 breakfasts, 3 lunches and 3 dinners – or if you enjoy the same breakfast every day just stick to that. 2. Work out in your week the best time for you to cook and prepare your food and stick to the commitment to use that time to prepare your meals. 3. Go shopping and buy according to your above menu/meal plan – get enough for what you will need for the week – if getting to the shop is hard you can always order it online. 5. 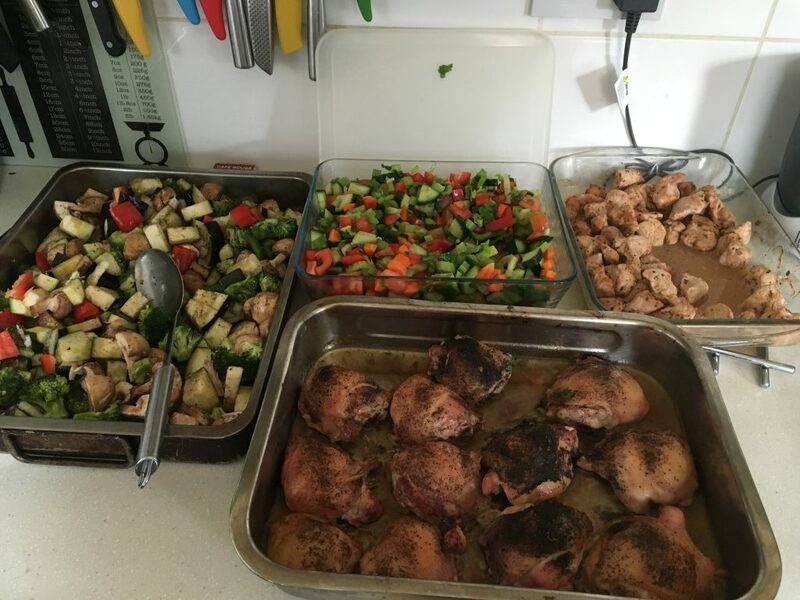 Find a way that works for you – one option in meal prep is to cook extra at dinner time and eat that for lunch the next day. If you don’t have time to cook everyday then do a big cook on Sundays and Wednesdays for example and prep a large batch of food that you can freeze or will stay fresh in the fridge. This is my preferred way to batch my meals as I work late every night and don’t always have the time to do it everyday. Whatever method you use, find one that suits your lifestyle and preferences. One you can stick with and is easy to manage long term.